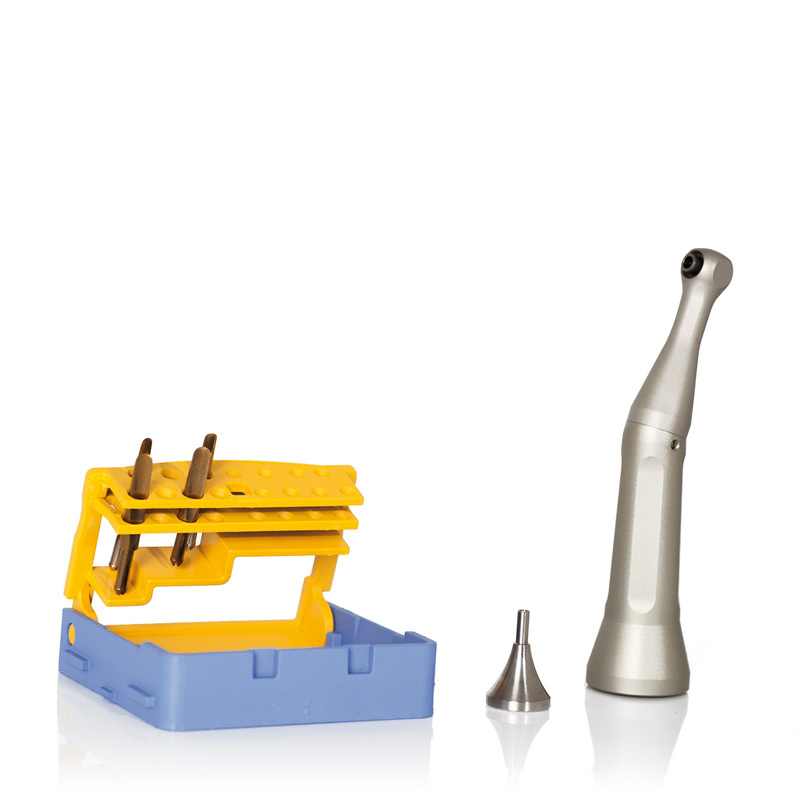 1 Handpiece, 2 Periotome Tips Short 2mm & 3mm, 2 Periotome Tips Long 2mm & 3mm, tip holder and plunger. 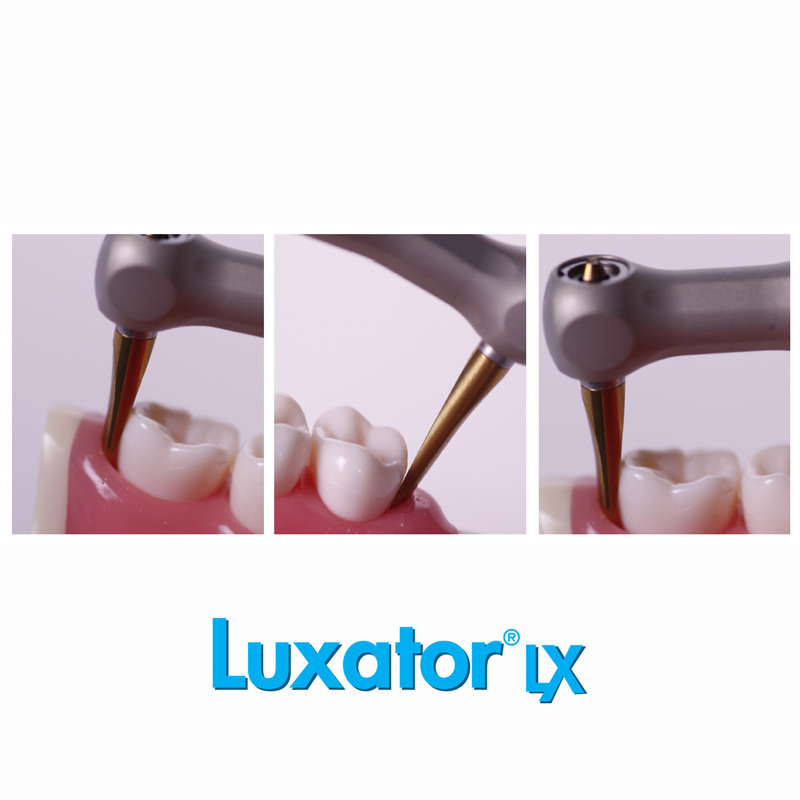 Setting a new standard for trauma free extraction, the Luxator LX mechanical periotome offers improved safety, precision and access. 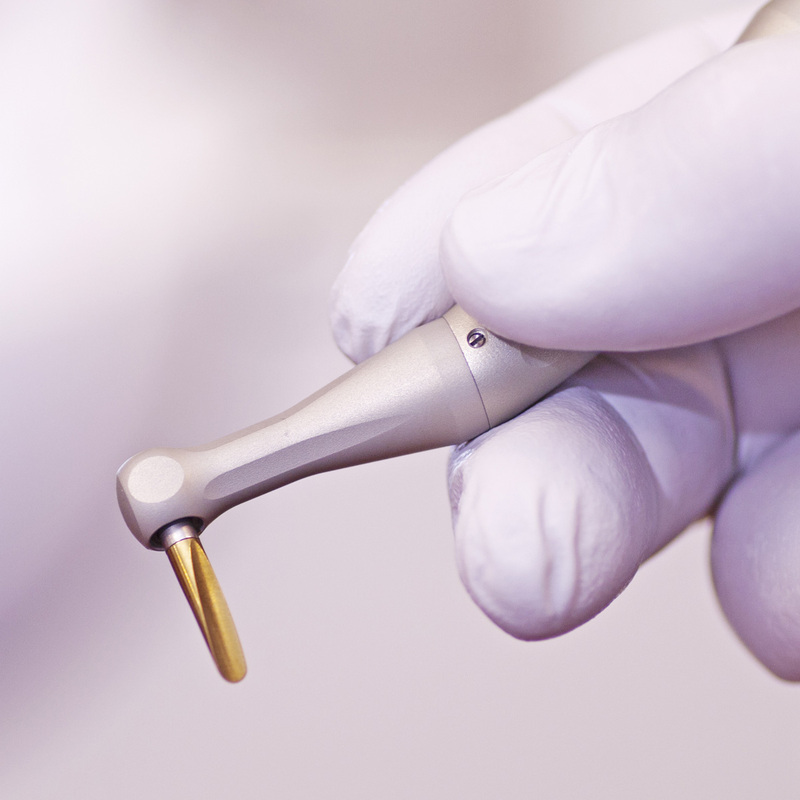 Quicker extractions with minimal tissue damage, the Luxator LX mechanical peritome help access hard to reach areas. The self directing tip allows the periotome tip to follow the root surface, reducing the risk of bone damage. With a reciprocating tip enables a secure cutting of the fibers in a patient friendly way. The Luxator LX mechanical periotome will only cut when under pressure, which means no risk of slipping. 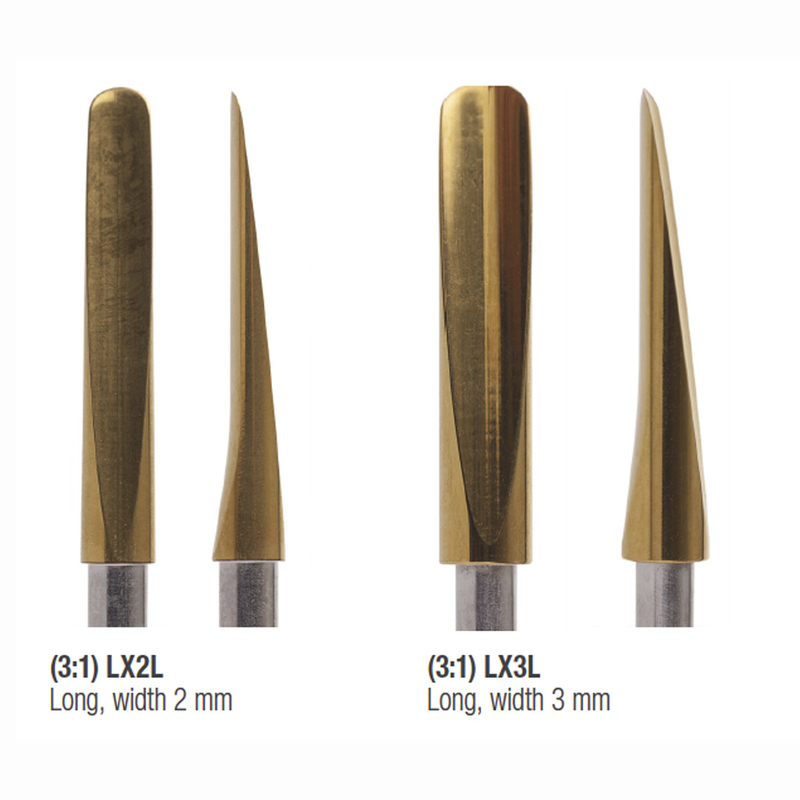 The titanium coated tip is a durable tip and remain sharp.